Celebrate the holiday of love with a decadent dessert party that highlights the very best part of Valentine’s Day — indulging in sweet confections. We’ve rounded up the must-have party supplies, stylish serveware, and 10 tips for you to host a sweet Valentine’s Day dessert party that’s a cinch to pull off. We’re also crushing on an easy 5-ingredient chocolate candy heart recipe — it was love at first sight! So we’re sharing it here as the perfect parting gift for your sweet soiree. 1. 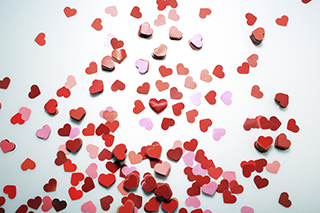 Focus on the Valentine’s theme — the more hearts, the better. Turn your brownies, rice krispie treats, cookies, and candies into heart shapes using cookie cutters and molds. 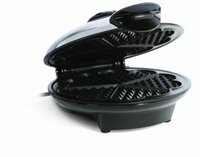 Or you could serve heart waffles (using this Heart-Shaped Waffle Maker) and set out berries, cream, and sprinkles on the side. 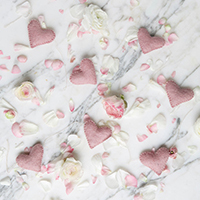 Hang a pretty Pink Heart Garland over your dessert table as a festive backdrop. 2. Set the mood for love. Whether you’re hosting your squad or it’s a couples-only party, you’ll want the music and lighting to tie in with your love theme. 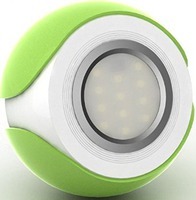 Create flattering light for the party with this LED Mood Light. Play some love tunes. On our playlist, we’d include Blondie’s “Heart of Glass”, “Ex’s and Oh’s” by Elle King, and of course, our girl Adele. 3. You don’t have to bake your heart out. You can put a lot of love into your party, without all the stress. 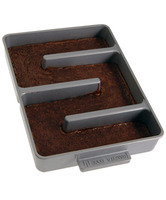 Mix homemade baked goods, like the perfect brownies (thanks to this Edge Brownie Pan) with store-bought treats. Or ask friends to bring over something sweet and turn your party into a dessert-themed potluck! 4. Think about height when displaying desserts. To get the drama of a wowzer dessert table, the key is displaying your treats at different heights. 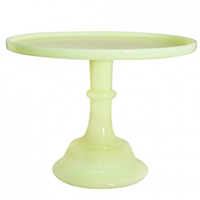 Use a pretty cake stand in the color of buttercream (naturally) for your hero cake. 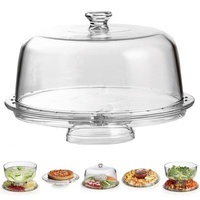 Arrange serving bowls, trays, and cake plates (like this Multi-Functional 6-in-1 Deluxe Cake Stand), so desserts sit at various heights. 5. Don’t forget the chocolate. 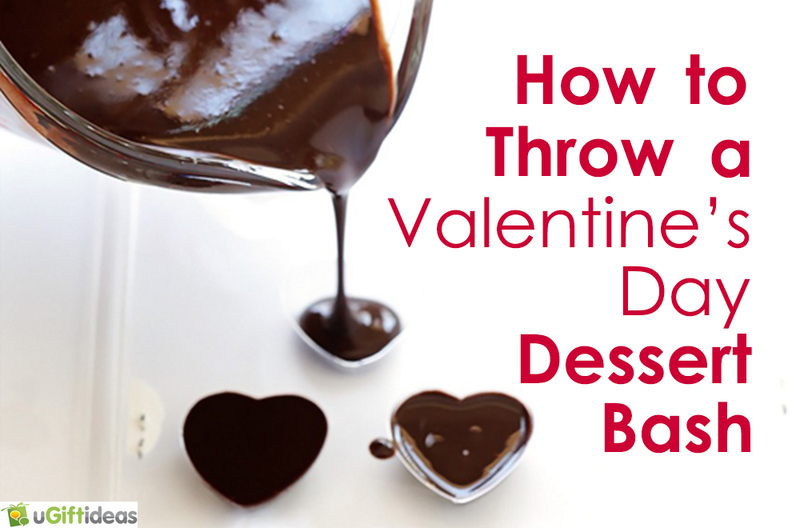 After all, you’re hosting a dessert-themed party honoring Valentine’s Day. Chocolate is required. 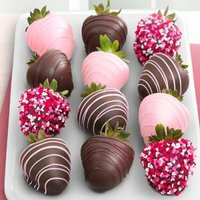 Set out a platter of Chocolate Covered Strawberries that everyone always loves. Food blogger Ali of Gimme Some Oven shared with us her no-bake recipe for Easy Peanut Butter Chocolates. This sweet recipe is perfect for anyone who’s never made candy before, and in 20 minutes you’ll have 50 bite-sized chocolate hearts! These peanut butter chocolates are extra special because they’re made with 5 simple ingredients and they’re sweetened by honey. Delicious and natural — what’s not to love! Add all ingredients together in a small bowl or measuring cup. Whisk together until combined and smooth. Pour into a candy mold or into a parchment-lined small baking dish (or bread pan). Refrigerate or freeze until completely solid and chilled. 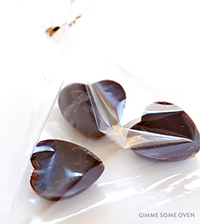 If you are using a mold, simply then pop the chocolates out to serve. If you are using a baking dish, remove the chocolate and carefully chop into your desired size of pieces with a chef’s knife. *Ali recommends storing the chocolate in the refrigerator and serving it chilled. It will be super-soft at room temperature. 6. 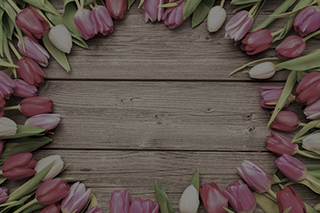 Decorate with fresh flowers. 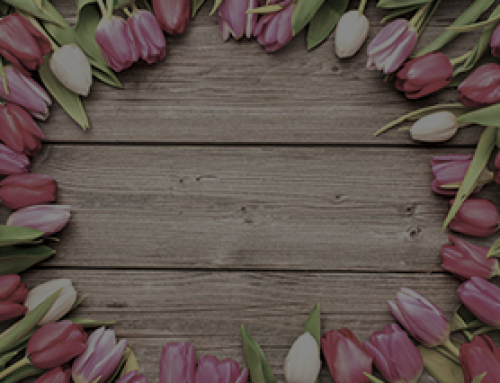 A Valentine’s Day party and flowers go together like peanut butter and chocolate (see above for proof!). You don’t have to spend a fortune, either. Trader Joe’s stocks blooms at affordable prices. Remove plastic wrap, snip off stems, toss in a vase or tumbler, and you’ll instantly bring color and sweet scents to your living space. You can’t fete Valentine’s Day without some cocktails. Serve up drinks in style with Cheers Martini Glasses. 8. It’s all in the presentation. 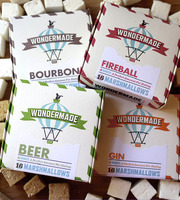 Top mugs of hot cocoa with boozy marshmallows. 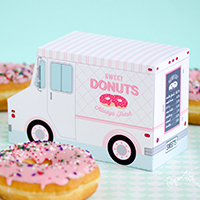 If homemade is not your thing, use pretty packaging to gift store-bought sweets as party favors, like pink glazed doughnuts in these paper Valentine’s Day Food Trucks. 9. Play a romantic comedy. 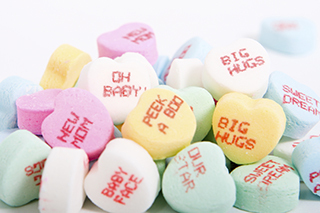 End the night with a chick flick or have a favorite love-themed film, like “When Harry Met Sally” playing in the background to add to the Valentine’s Day ambience. 10. Tell guests to eat dinner beforehand. Make it clear to partygoers that it’s a desserts-only soiree, so they come craving sweets — not a main course. 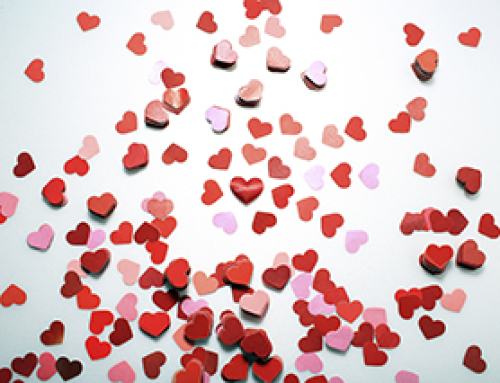 Hosting a Valentine’s Day dessert party is a fun, non-traditional route for celebrating the sweetest occasion (rather than a one-on-one dinner date) whether you’re happily married or happily single, young or old. 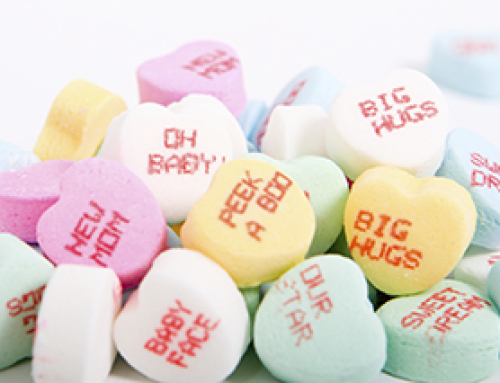 In fact, here’s why traditional Valentine’s Day gifts are out .